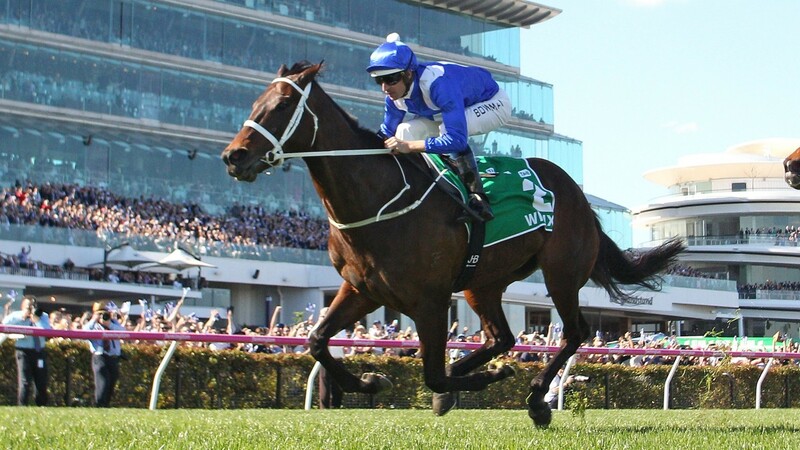 The most famous racehorse in the world will bring down the curtain on an extraordinary career early on Saturday morning when Winx takes her final bow, with trainer Chris Waller boldly predicting: "She is ready to explode." With motherhood just around the corner, Winx is about to race for owners Peter Tighe, Debbie Kepitis and Richard Treweeke for the last time. She will do so carrying colours her jockey Hugh Bowman sported yesterday morning, when Winx completed a final racecourse gallop at Rosehill, following which she caused some gasps of concern by lashing out and striking a sponsor hoarding attached to a metal fence. Waller blamed the unruly behaviour on the decision to remove Winx’s normal ear plugs. 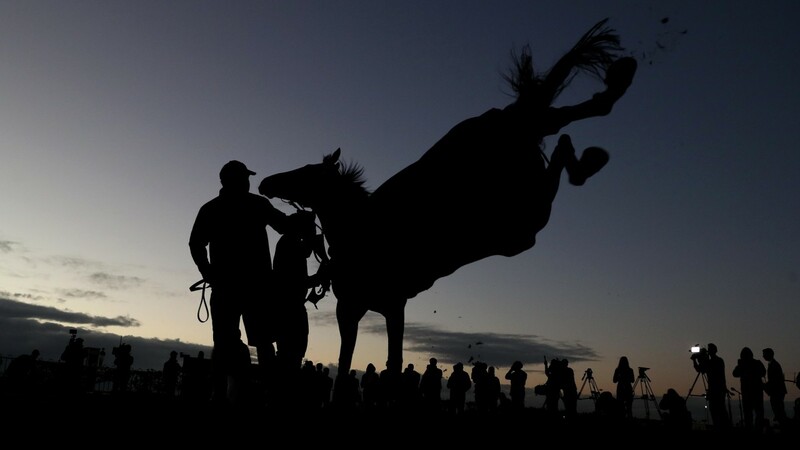 A nation's gaze will be fixed firmly on Sydney's Royal Randwick racecourse, where a horse some have placed on the same legendary pedestal as Australian sporting icons Don Bradman and Rod Laver seeks to win her 33rd consecutive race in the Longines Queen Elizabeth Stakes. That astonishing run of success has already yielded a record 24 Group 1 victories. Should she add another to her record then she will become the highest-earning racehorse of all time, with a haul north of £14 million. In time that figure will be surpassed. 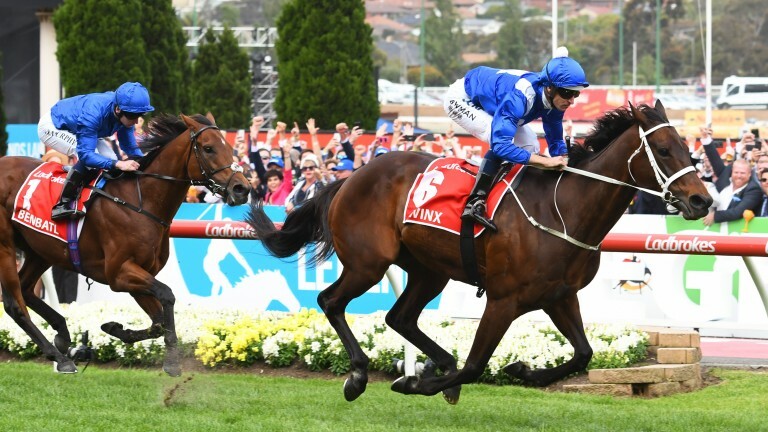 It may take longer for a horse to emulate so much else of what Winx has achieved. There have already been 36 victories, an unprecedented four of them in the Cox Plate, since the daughter of Street Cry made her debut in June 2014. She has won over a wide variety of distances, on all sorts of ground and often in the most dramatic fashion, using her incredible stride frequency to produce sprint finishes that have turned seemingly certain defeat into scarcely believable victory. Now, the seven-year-old's countless fans will be hoping she is ready to defeat eight opponents who include old rivals Hartnell and Happy Clapper, Japanese challenger Kluger and He's Eminent, who performed with distinction in top races when trained by Martyn Meade and now runs from the yard of equestrian legend Sir Mark Todd. 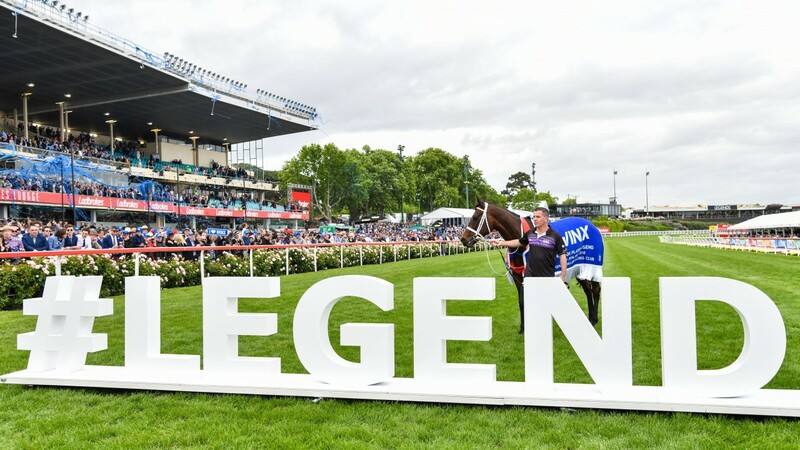 Legendary status is also owned by Winx, whose trainer said: "I haven't prepared her any differently for her final race. We haven't changed a thing. The expectation, as ever, is she needs to win, and she will be ready to go out in a blaze of glory. "There are no concerns. Obviously the luck of racing is out of our control, but the simple fact is Winx is very good. If she is at her best and doesn't have too much bad luck she'll be fine. "We are aware of public expectation. She is no longer just a punters' or fans' horse. The general public in Australia and across the world follow her. A horse should not win 32 races in a row. Luck might get you to win ten in a row. Winx has only got to 32 because of her exceptional ability." With Australia's media having devoted enormous levels of coverage to Winx, the spotlight on Waller and his team has been intense, never more so than in the build-up to the mare's finale. "On Saturday I'll try in my mind to put into perspective what is pressure," said Waller. "Is pressure really training a champion racehorse? Pressure is going to war or fighting a health battle. To be part of an amazing horse's career is a privilege. The pressure is more self-built than anything. Telling myself all that is what will keep me sane." "I've seen her backside many times." Offering his perspective, Bowman said: "We're as confident as ever. I can honestly say I think she is as well going into Saturday's race as she has ever been in the last four years. That says a lot about her constitution and the management of Chris Waller." The man who has done the managing now has one last race to get through. Then he can exhale and feel the burden of colossal expectation lift from his shoulders. "I remember each and every one of her wins," said Waller. "It would have been the same for everyone connected with Frankel. We love our horses. They are our friends and our pets." There are some who want to see this particular pet bow out in style but, asked if he wants to see Bowman let rip on the horse rated 2018's joint-world champion alongside Cracksman, Waller played down expectations. "There is part of me that would love to see that, but I'll be happy with a hard-held victory by a small margin, knowing that the job is done," he said. "People will remember Winx regardless of winning margins. She has touched most people's hearts and made memories that will last forever." 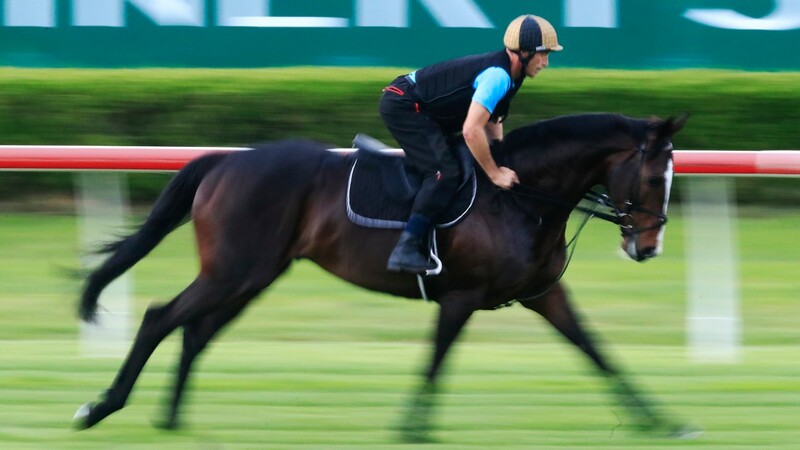 Australia has fierce sporting rivalry with Britain and New Zealand, both of which could unite to conceivably ruin Winx's last hurrah through Queen Elizabeth Stakes second favourite He's Eminent. A shock triumph for the five-year-old would be a remarkable story, given he had been retired from racing after a severe deterioration in his form only to then be brought back to the sport in the care of New Zealand's British-based three-day eventing superstar Sir Mark Todd. The 2017 Investec Derby fourth – who raced as Eminent when trained by Martyn Meade – made an encouraging debut for his new yard when second in last month's Group 1 Ranvet Stakes. The front-running tactics used on that occasion are set to be deployed again by rider James McDonald. Todd, who claimed individual gold in the 1984 and 1988 Olympics, said: "We didn't know what to expect last time as he hadn't worked with another horse for six weeks. We were pleasantly surprised. He was like the Eminent of old and I think he has improved a lot for the run. "Beating Winx will be a fairly impossible task but we're happy with our horse and we hope we can make it a decent race."